Note: This is a sticky post. 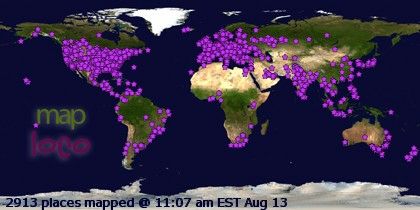 Page down to view newer posts at Bookfoolery till after October 31! The readalong will run for the entire month of October, so if you're unable to start the book immediately, feel free to join in later in the month. 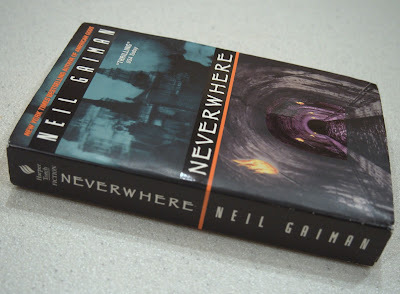 The hashtag for the Neverwhere readalong is #NeverwhereRAL. Please use this hashtag when discussing the book on Twitter or any other social media (I only use Twitter and Facebook, myself). I'm going to turn this into a sticky post and leave it at the top of my blog so that if you don't use social media you can discuss in the comment section of this post. I've not previously read Neverwhere so I don't know what, if anything, might be a spoiler but please do consider the potential for ruining the reading when you discuss, especially in the comment section, here, as it will be staying for the entire month. Please note that I moderate all comments and we are anticipating some major internet disruption during October, so it may take several days for your post to show up. Due to the expected interruption of service, there may also be a lack of other posts; I can't say because our internet provider has not specified the dates of expected outage. Please page down if you're a regular reader to check for new posts. If you have access to Twitter, please check in on October 15 to discuss progress. Otherwise, feel free to chat about it anytime and just check the hashtag for updates from other readers. Your Alien is the story of a little green alien who arrives on Earth, where he befriends a little boy. They have a bit of fun together at home and school, but then the alien appears to be growing sadder. 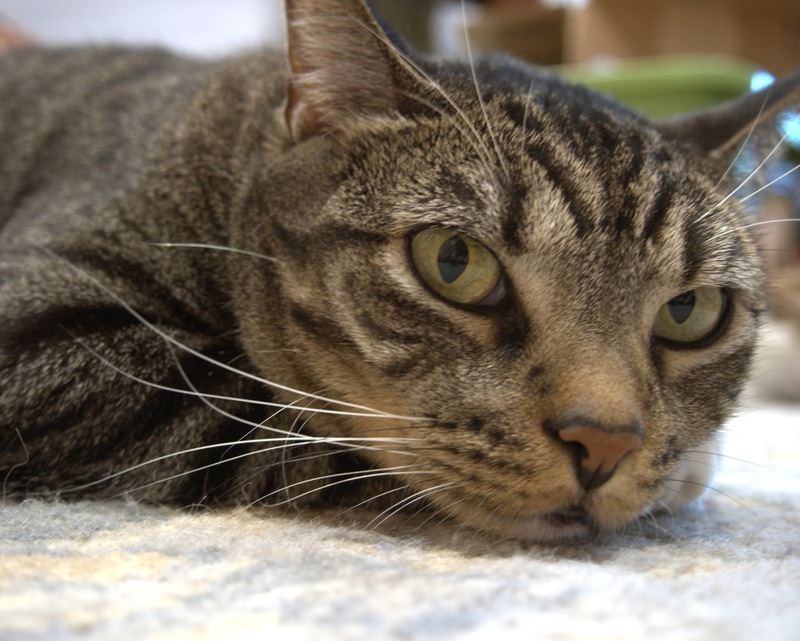 His new human friend discovers the problem when he glances at a family portrait on the wall. The alien is longing for his family. To help the little alien, the boy turns on all the lights in his house and decorates the outside of his home and yard with so many lights it can be seen from space. This captures the attention of the parent aliens so that they're able to fetch their alien child. Highly recommended - I loved the sweetness of the story and I'm absolutely crazy about the illustrations. What an adorable little green alien! The only thing I disliked about Your Alien was the chosen tense, which is not my favorite, but the story is so warm and funny that I smiled all the way through the book. 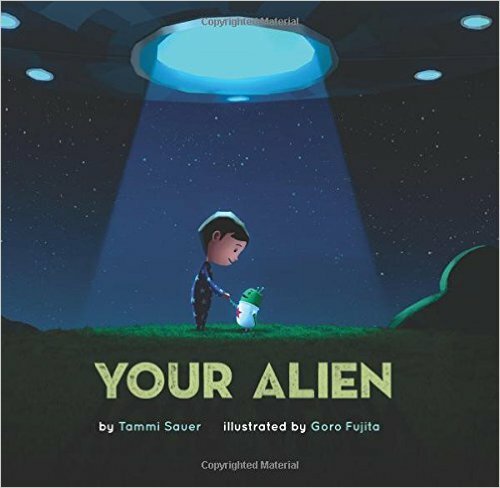 I can imagine Your Alien being a hit with the young ones and it's charming enough that I know I wouldn't mind reading it over and over and over again to an eager child. I received a copy of Your Alien from Sterling Children's Books for review. It came with a little alien button and a bookmark. I'm assuming those were promotional items that don't normally come with the book. I keep the button in a place where I can admire it, I love that little alien so much. A few days of not writing reviews was restorative, so I have no plans to take off, at this point. I am, however, going to participate in National Novel Writing Month. I never know whether that will keep me away from the blog or make me crave writing about something besides my own story, but I hope to make some progress wading through the large stack of children's books beside me. I'd originally intended to have a Children's Day, but so many children's books arrived that I decided there were too many to review in a single day. So, I'll write up the reviews individually, unless I get a sudden urge to review several at once. It's Friday! Have you hugged your cat, today? Or dog. It's okay if you hug a dog, instead. Izzy loves my iPad. The newer one doesn't have cat fishing but she's perfectly happy to page around on Facebook, chase clouds on a weather page with a moving background, and sleep on it when she tires of trying to buy things I don't want. Happy Monday! Still don't feel like writing much so I'll keep the malarkey brief, again. So excited that the Neverwhere CDs arrived before the end of the month. Is anyone still reading Neverwhere? I gave all three of those book 5 stars at Goodreads, although I always round up when I think a book falls between a 4 and 5. The three titles could not be more different from each other. Given my continuing disinterest in writing reviews, it may be about time for me to take another blog break. We'll see if I feel like writing any, this week. If I don't by Friday, I'll take some time off. I'm dragging, this week, so I'm just reading and don't feel like writing reviews. At the moment, I'm focusing on Illuminae by Jay Kristoff and Amie Kaufman. I accidentally pre-ordered two copies of Illuminae. When I became aware of my mistake, I considered cancelling one of them but Kiddo enjoyed Kristoff's previous series and it sounded like my kind of book, so I decided to just leave it and give one to him. I'm glad I did. He whipped through Illuminae the night it came. I'm still just reading around 100 pages per night, maybe a bit more. So, the morning after Kiddo finished, I asked him what he'd rate Illuminae on a scale of 1-10. His answer: "9.3". I said, "What led you to take that 7/10 off?" and he told me, "Personal reasons." Spoilery reasons, apparently, but he reminded me that he rates very few books above a 7 or 8, so "It's all good." Illuminae is a YA that takes place in the 26th century, about an illegal outer-space mining colony attacked by a competing corporation. The survivors need to get to a static wormhole to escape but it will take months and there are two things chasing them: a terrifying disease and an enemy ship. Gripping stuff. You already know I came home from vacation with quite a load of books, if you read last week's Twaddle, but now it's time for a visual. They came from Persephone Books, Daunt Books in Marylebone High Street, Poundland (seriously - I found a book on my wish list in Poundland), an Oxfam bookstore, Greenwich Book Time, the National Theatre book shop, the Southbank Book Market, and Waterstone's. Clearly, we went into a lot of bookstores, as always. And, now that I've found the Southbank Book Market, I'm sure I'll return to that. Yep, I'm out of shelf space, again. Neverwhere by Neil Gaiman - and I loved it!!!! I started reading Notorious RBG within a couple hours of it hitting my doorstep but then decided I needed to finish a couple of books for my sanity (I've only finished 3, the entire month -- horrors!) and will hopefully return to that, tonight. Today, I'm trying to finish up The Fortnight in September by R. C. Sherriff. 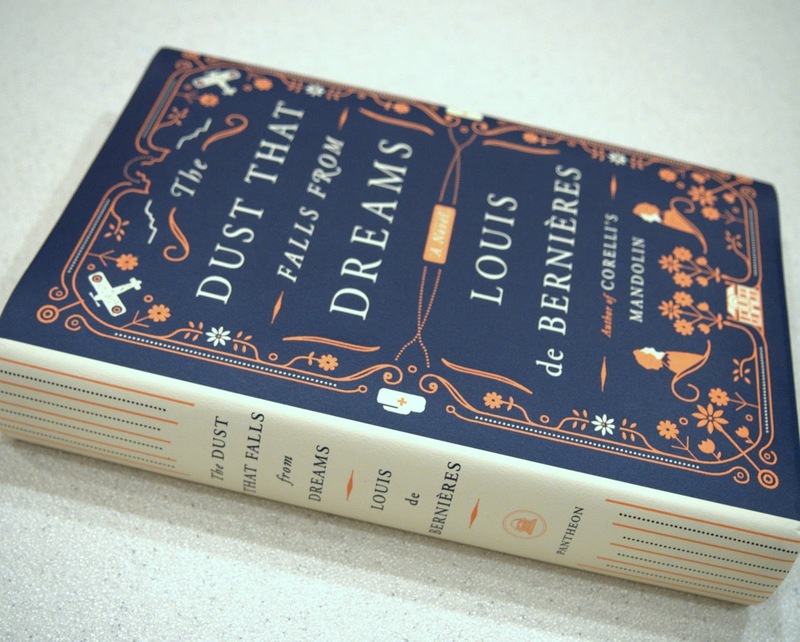 Then, hopefully, I'll get back to The Dust That Falls from Dreams. I hated not taking that with me to London but I only carry one or two paperbacks, max, these days -- especially if I know there's at least one good bookstore at my destination. A quick note on why I requested and read this book: Since it takes place during and after Apartheid in South Africa, I thought it might be a good choice for #Diversiverse, the annual reading of books specifically chosen for diversity (of authors, not settings, from my understanding -- feel free to correct me, as I made an assumption rather than seeking out the details). It also sounded so good I couldn't bear to pass it up. But, it turned out the author is, in fact, a white woman who spent 25 years of her life in South Africa. Unfortunately, I didn't have the time to find another book to carry with me on vacation when I realized the author was not a person of color, so I went ahead and took it to the UK. Another Woman's Daughter is about Celia Mphephu and her daughter, Miriam. Celia is a black servant working for a white couple. Miriam is still young enough that she's allowed to stay with her mother but she will soon have to return to Celia's home to stay with her grandmother, as Celia's other children have, as the book opens. 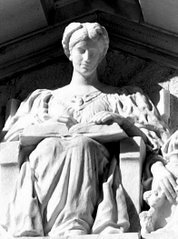 Her employers, Master and Madam Steiner, are childless and when they decide to return to England, they ask to take Miriam with them. Celia agrees after they reassure her that they'll bring Miriam back for visits. In England, Miriam misses the warmth of her mother, her tidiness, her exceptional cooking. She hopes to find solace in school but instead learns that she's happiest when hiding away after racism rears its ugly head, while back home her mother experiences a series of misfortunes and brutality as the horror of Apartheid continues. Will they ever be reunited? Where does Miriam really belong? There are so many things I loved about Another Woman's Daughter. First of all, I found the story immediately compelling. Celia is a hardworking woman who clearly loves her child. The Master is kind to her and adores Miriam but the Madam is, quite simply, a horrible person with no interest in children -- not a sympathetic character at all. Miriam is, of course, young enough at 5 that you have no idea how she'll react to being uprooted and Celia only wants what's best for her daughter. The setting itself simply magnifies the issues. South Africa during Apartheid is a dangerous, terrifying place to be black, even though Celia works for a white couple in a nice area and has the proper papers. And, yet, racism exists in England, as well, so is Celia truly sending her daughter to a better life? I admit to being skeptical that a white author could handle Apartheid and racism from the black viewpoint (which she admits risked offending) but I think she did an incredible job of portraying the struggles, dangers, and emotions of mother and daughter. I especially loved Miriam's best friend and her family, who are more of a family to her than the Steiners and always there for her when she needs a friend, brother, sister, mother. There was a plot twist that I found a bit unnecessary at the end but that was the only glitch in an otherwise impressive story. Highly recommended - While the writing in Another Woman's Daughter is very good -- it flows especially well -- it's the storytelling that makes the book. I loved the characters and found their story absolutely engrossing. I also thought the author portrayed Celia and Miriam with an unusual depth of sensitivity. On a personal note, I'm usually a terrible travel reader. I can't focus on planes and tend to repeatedly drift off, looking out the window, watching everyone else's movie screens without bothering with my own. Not this time. I stayed immersed in Another Woman's Daughter till I closed the book. Beautiful, moving storytelling. Tuesday Twaddle - A little bit discombobulated, but here you go. I was on vacation, last week, and am not so much jetlagged/sleepy as completely scatter-brained and unable to process tasks after a long traveling day (from London), so I'm going to hold on the book photo till next Monday or I probably wouldn't manage to post for days. I brought home a massive amount of reading material, though, so there will be a lovely book stack photograph, next week. I'm nearly halfway through Neverwhere and absolutely in love. At this point, I'm deliberately spreading out the reading because I don't want it to end; but, I'm strongly considering purchasing the performed audio version and listening to it as soon as I finish, just to stretch out the fun even longer. I like Neverwhere that much. The Dust that Falls from Dreams had to stay behind because it's a chunkster, so I didn't make any progress on that at all. But, I did manage to finish a book I started just before we left, Another Woman's Daughter by Fiona Sussman. I'm usually not good at focusing to read on planes but I could not put that book down till I finished; it made the flight to London go much more quickly than it might have, otherwise. On our first day in London, we dropped by Daunt Books on Marylebone High Street and I bought The Case of the 'Hail Mary' Celeste by Malcolm Pryce. I got about 120 pages in but the whole time I was reading I kept thinking I needed to start over because -- as today -- I was a little discombobulated after traveling and not processing the way I normally do, definitely not in a manner that befits the reading of a mystery. So, I skidded to a halt and I'm not sure whether I'll finish or start again, later. Another purchase was The Fortnight in September by R. C. Sherriff, from Persephone Books. I began reading it on the flight home and it's such a breezy read that I'm having no problem continuing to read, even today. So, I'm sure I'll finish it up sometime this week. The Dey Street version does not contain either the BBC logo in the upper right corner or the words "Foreward by Mark Gatiss", but otherwise they're identical and the foreward by Mr. Gatiss is still present. Kiddo is living at home, now, so we had a built-in house- and cat-sitter (so convenient). The cats were clearly content, but Isabel was so excited to see me that she started chattering at me and did a little happy dance almost the moment we walked through the door and she has stuck with me like glue, even napping against my legs while I read on the sofa. Unfortunately, after arriving home at around 2:30 AM 11:30 PM (after a little snafu in which the kiddo fell asleep when he was supposed to be picking us up at the airport) and getting to sleep around 2:30 AM, she decided to come have a chit-chat with me at around 4:00 AM. So, I'm working on about 90 minutes of sleep, here. It's odd that I'm not the slightest bit sleepy, just . . . addled. Fiona has been cheerful but didn't come out to greet us until I called to her. She trotted into the room and gave us a look that approximated the word, "Whatever," but didn't stay miffed for long. She's not so clingy and cuddly, though. I'm loving the extra affection from Izzy, even if it seems to involve a tinge of desperation. Both cats are with me, as I type, Fiona warming my toes and Isabel curled up in her desk chair . . . which used to be my desk chair. The sacrifices we make for our fur friends. Unfortunately, our "disruption of service" did not occur while we were away, so that's yet to come and I still don't know when it will occur. If I disappear for a few days or more, that will be the reason. In the meantime, I'm still planning to have a #NeverwhereRAL update chat on Twitter on the 15th. There is no specific time. If you're reading along and you're a tweeter, please share how it's going on the 15th using the #NeverwhereRAL hashtag! I read and reviewed the first volume of Margaret Wise Brown's Goodnight Songs (also including a music CD) in March of 2014 and enjoyed it enough to jump right on the offer to read and review a second volume, this time with focus on the seasons. Last time, I read the book before popping in the CD. This time, I decided it would be better to pop the CD in and read along, enjoying the book and music together, as they were intended. 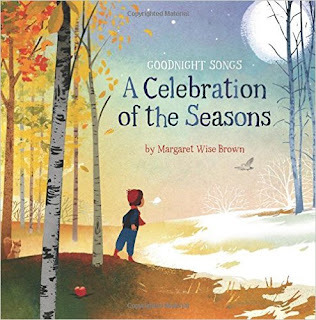 As with the first book, Goodnight Songs: A Celebration of the Seasons contains Margaret Wise Brown's lullabies illustrated by a number of different artists. So, each spread is an entirely different experience. Of course, my favorite illustrations were the two with cats in them, but I really do love the diversity of artistic styles. Musically, I only had one complaint. There was a single song with the kind of "easy listening" style in which the instrumentals made me think of elevator music -- or, maybe something you'd hear in a shopping mall. I don't know what exactly it was about that particular song that made me bristle, but fortunately the rest were lovely. Recommended - When my kids were small, we had quite a little pile of books on cassette. Some of them were books with music, some were just stories. My children (particularly the eldest) loved being able to play those books repeatedly on their own and Eldest continued to play them when he became old enough to read along. So, I wouldn't limit the reading audience to 3-6 years of age. Youngsters who enjoy music and early readers would love to be able to play this kind of book without Mom's help, long after they've figured out when to turn the pages. The music CD may also be great on its own for relaxing, since the songs have a gentleness that's perfect for nap time. I'm currently reading The Dust That Falls from Dreams by Louis de Bernieres. Don't you love that cover? Not a single book walked through my door, last week. Shocking, no? This only happened once. 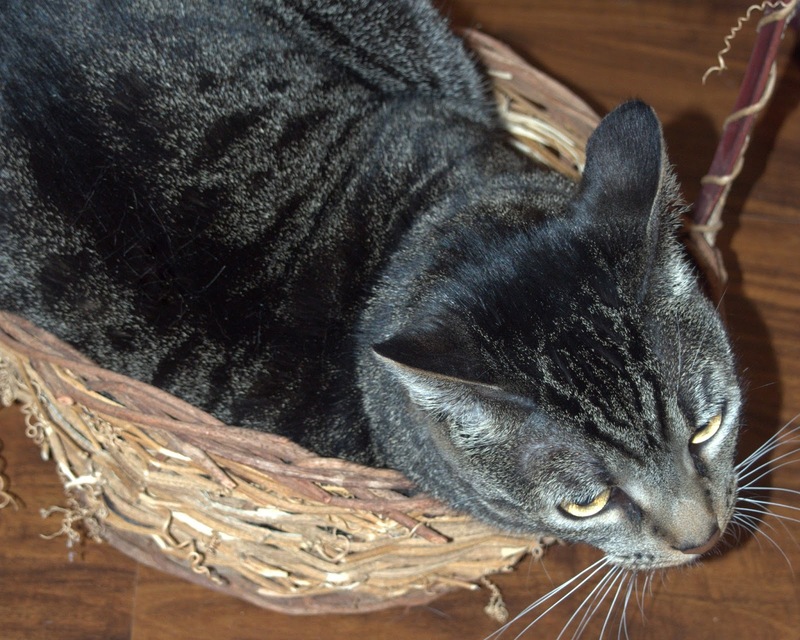 Fiona found the basket that formerly contained my birthday bouquet and squished herself inside. I took the basket away when she began to chew on those curly bits of twine dangling from the handle. 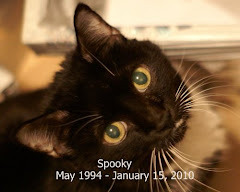 I'd just been through one disaster caused by a cat chomping on something she shouldn't and wasn't about to take a chance that something in that basket was even remotely toxic. 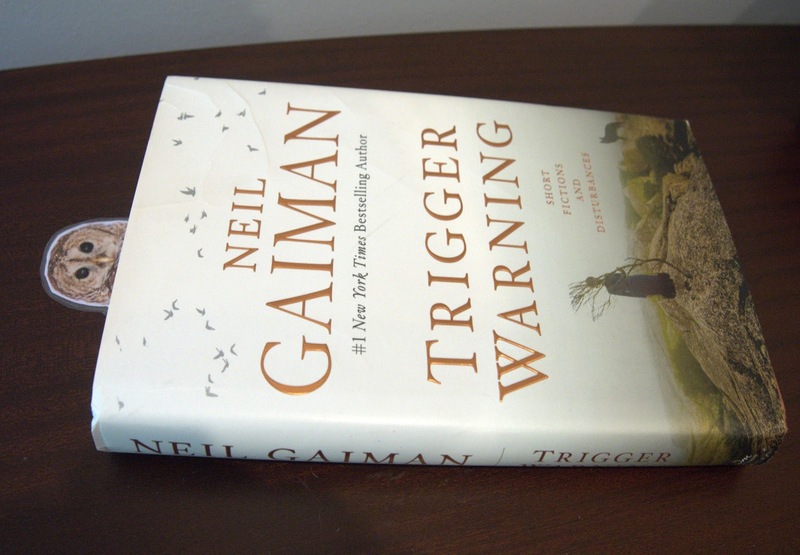 In the introduction to Trigger Warning, author Neil Gaiman warns the reader that the stories included are thematically diverse. Usually, he says, he tries to stick to a theme. But, in this case he gathered a variety. I doubt any diehard Gaiman fan will care and I certainly didn't. 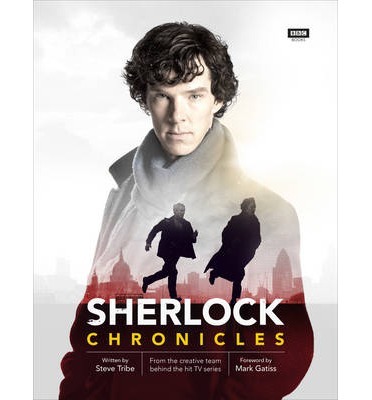 Subtitled "Short Fictions and Disturbances," the stories are indeed a hodge-podge of fantasy, suspense, sci-fi, whatever. Some will make your skin crawl in a satisfactory way; some are simply magical; one story is a Doctor Who fiction. I'm not the typical Gaiman fan as my feelings about Gaiman's writings run dramatically hot and cold. Either I love a story or I don't. In this particular case, I liked or loved probably at least 85% of the writings. A couple simply did not work for me. One I disliked so much I abandoned it a third of the way in. I seldom ditch short stories, simply because they're brief (although this one was fairly long, as short stories go). That certainly puts a light on the hot/cold thing, doesn't it? "A Calendar of Tales" - This series of short stories takes on more meaning when you're aware of their origin, which the author shares (the author, in fact, describes the origins of most of the stories at the beginning of the book). One story for each month, each begun with a simple prompt tweeted to the author. One of those prompts was "an igloo of books" and just seeing those four words makes you realize the kind of writer in whose hands you've placed yourself -- a man who can take a four-word prompt and write a story that transports you to a world with an igloo made of books is definitely someone special. "Click Clack the Rattlebag" - One of those stories that's just unsettling enough to give you goosebumps, makes you want to leave the closet doors open with the lights on, and makes you think, "I'm going to have a creepy nightmare tonight." I loved it. "Nothing O'Clock" - The Dr. Who tale, in which the 11th Doctor and Amy Pond must defeat a creature formerly imprisoned by the Time Lords but set loose upon the extinction of Gallifrey. The characters are so true to those played by Matt Smith and Karen Gillan that Dr. Who fans may find themselves wondering why the story wasn't made into an episode. Highly recommended - I especially recommend Trigger Warning to Neil Gaiman fans, but if you enjoy short stories and only occasionally like Neil Gaiman, you will still definitely find something to love in this book. Incidentally, a couple of the writings are poetry. And, it's notable that Trigger Warning contains plenty of atmospheric, disturbing stories, making it perfect for fall reading (including the annual RIP challenge).